It’s 5 am and my alarm goes off. There’s not a hint of daylight in the sky. I blearily plod downstairs to the kitchen and fumble around for a carton of eggs, some frozen veggie sausages, spinach and corn tortillas. As I prepare myself and my wife a gigantic pre-dawn Feast I think grumpily about how I got here. Here’s how it works, it’s really quite simple. You don’t eat or drink while the sun is up. Like Muslims during Ramadan, most Baha’is get up early and down a bunch of protein, caffeine and complex carbs to get them through at least half the day and then coast through some serious low blood sugar doldrums during a good part of the afternoon. And when the sun sets, look out! Do NOT get between a Baha’i and their cheeseburger when darkness falls! You might lose a hand. Sometimes the hours tick away quite slowly and you find yourself obsessively checking the clock, almost willing it to hit 6 pm when you can gorge on smoothies and quesadillas. 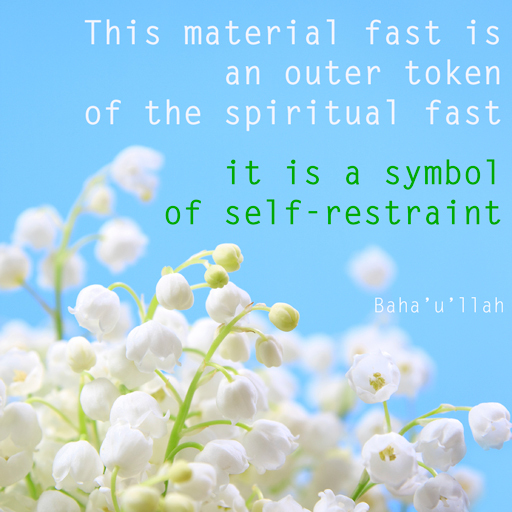 “The Fast” in the Baha’i Faith is certainly misnamed. 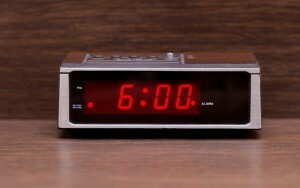 It should be called “The Slow” for the way time plods throughout the day. Why would we do such a silly thing, you might ask? Sounds like torture and it certainly can’t be good for your health. Turns out, there’s been plenty of research to suggest that fasting may in fact detoxify the body and reduce coronary heart disease. But personally, that’s not why I do it. And, I’m guessing, it’s not why millions of followers of other faiths do it, either. We’ve all heard about Ramadan (Islam), Yom Kippur (Judaism) and Lent (Christianity) but have you heard of Maha Shivaratri or Chauvihar Upwas or Nyungne? (I hadn’t until I did a recent search. Thanks, Google!) Fasting is a fundamental part of every major world religion. I don’t know exactly why this is, but I can take some educated guesses. In all the worlds’ major faiths there is an essential paradox: we are spiritual beings having a human experience through our corporeal bodies. Our reality is dual in nature, and fasting, as an act of physical renunciation, reminds us of our greater reality — the reality of our spirit and our heart. There is something very cleansing and powerful about being in a devotional state as the sun rises. And that state heightens your understanding, as the hours and minutes tick through the day, that you’re abstaining from food because of the love of God and your focus on your spiritual self. With every hunger pang, my inner vision focuses on what I’m doing and why I’m doing it. It’s all about purification. My everyday materialness is shed and my vision becomes more fixed on what is important and true in my life. Deprivation also provides a deeper gratitude for the ordinary. When you do eat and drink at the end of a long day, you savor the taste of your food in a deeply profound way and have a more intense thanks for what you do have. I’ve had many moments of ‘clarity’ about my place in the universe during those weeks of the Fast. “Fasting is the cause of awakening man. The heart becomes tender and the spirituality of man increase. So think of me, and all of us Baha’is this March. And, as you watch the sun traverse the sky, know that we’ll all be watching it too, praying and waiting for darkness, and that first magnificent bite of cheeseburger. Humanity Evolves—But Does it Mature? We get up before dawn start with some warm lemon water and prepare bowls of watermelon for breakfast. This is enough to sustain us through the day while allowing a mild hunger and thirst to remind us to attend to our spiritual attitudes and outlooks. DWd are fortunate enough to be able to make dinner a bit more substantial, but not much. That same mild hunger and thirst reminds us to turn off the switches and taps to reduce power and water consumption, to minimize unnecessary packaging and waste, to take public transport where practicable, and eat ...food produced as locally as possible (notwithstanding that water melon comes up from Mexico...) - an "environmental fast" if you will. Just so that your readers don't think all Bahá'ís gorge in the mornings before sunrise and the second the sun has set, I eat only fruit in the mornings, and my food intake in the evenings is no greater than usual. I also find that I can go for lengthy periods after the sun has set without worrying about having to have some food. Also, I think many Bahá'ís are very conscious of needing nutritious and healthy food. 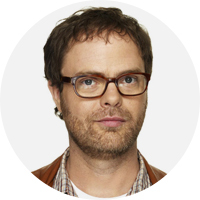 Thank you Rainn Wilson for your explaining why Bahai's Fast so eloquently. Baha'i love to you and your beautiful family!! Love Backstrom!!! Great acting and brilliant content....Pray for your on going success.. Beautifully written except the prayer at the end has mistakes in it - please refer to the Malaysian Prayer book pg 81 for the correct version. O Divine Providence As I am abstaining from bodily desires and not occupied with eating and drinking, even so purify and sanctify my heart from the love of any one save Thyself and shield and protect my soul from corrupt desires and satanic qualities, so that my spirit may commune with the breaths of holiness and fast from the mention of all else besides Thee . Expressed beautifully. To attain perfection we can all learn a little bit about self restraint generosity feeding the hungry! Selflessness and praying like God is in our presence while we have pure temples. God loves us. I love God. We love peace. Through wholesome sunlight from om fasting we gain insight and clarity. It kinda makes me think of the song, "Day By Day" ... when you get grumpy in the morning, it becomes a really good boost! Try it for a week or so ... I, of course, am diabetic. The song works for me, in different ways - but it's cheery, and I come around.